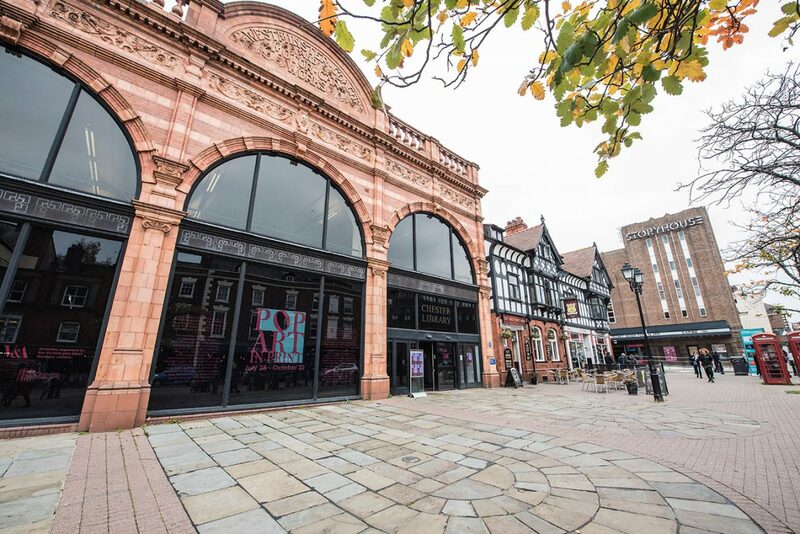 Chester Visual Art can confirm that they have negotiated with Cheshire West and Chester Council to secure the temporary occupation of the former library building. The ground floor of the listed building will be transformed into a gallery space in time to display the Victoria and Albert Museum’s “Pop Art in Print” touring exhibition. Opens 28 July – 22 October 2017. 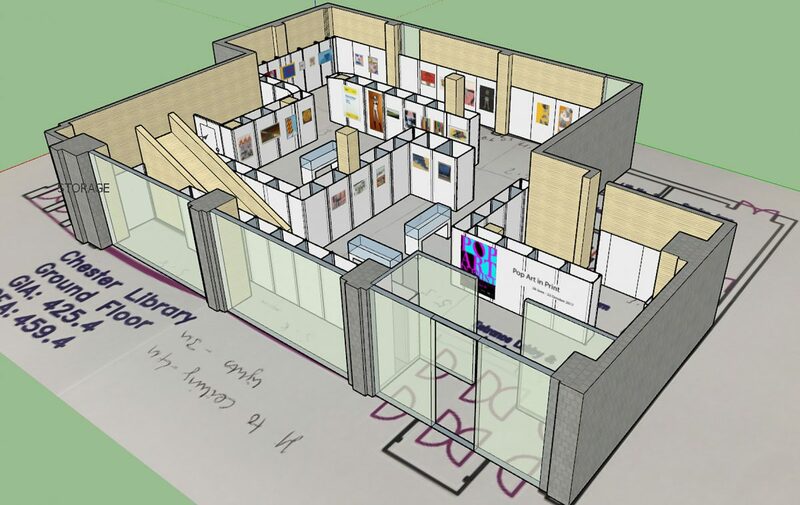 Chester Visual Arts busy designing the layout of the Gallery space to be built in the former Library building!